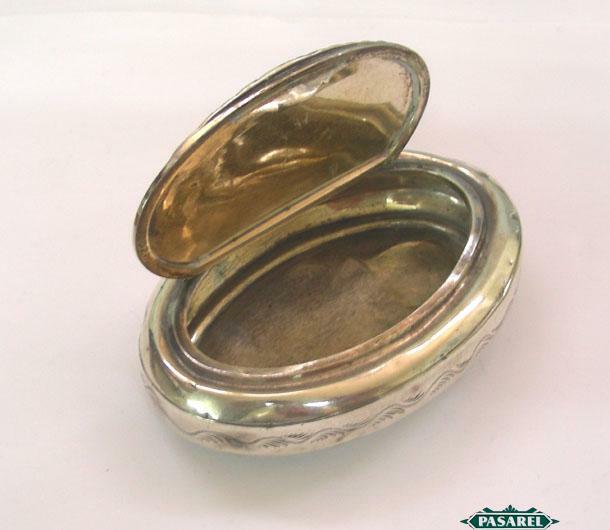 Pasarel - Gorham Sterling Silver Snuff Tobacco Box, U.S.A, 1860’s. 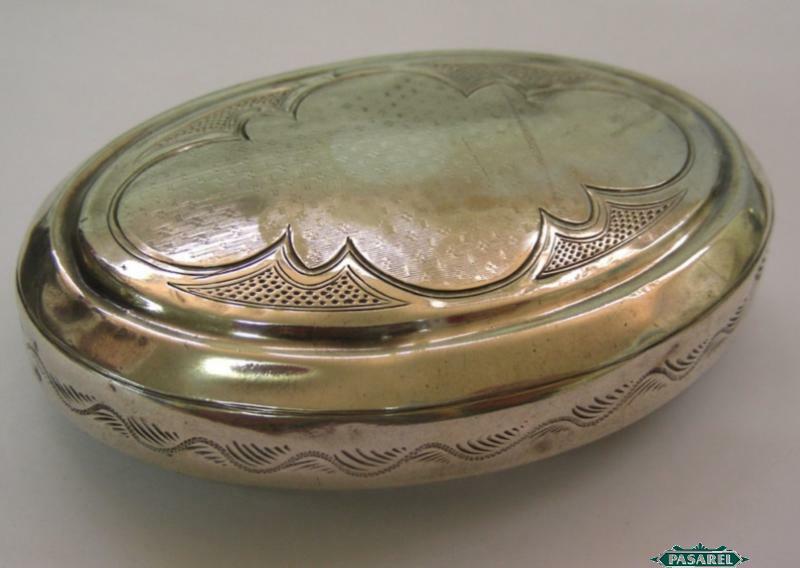 Gorham Sterling Silver Snuff Tobacco Box, U.S.A, 1860’s. 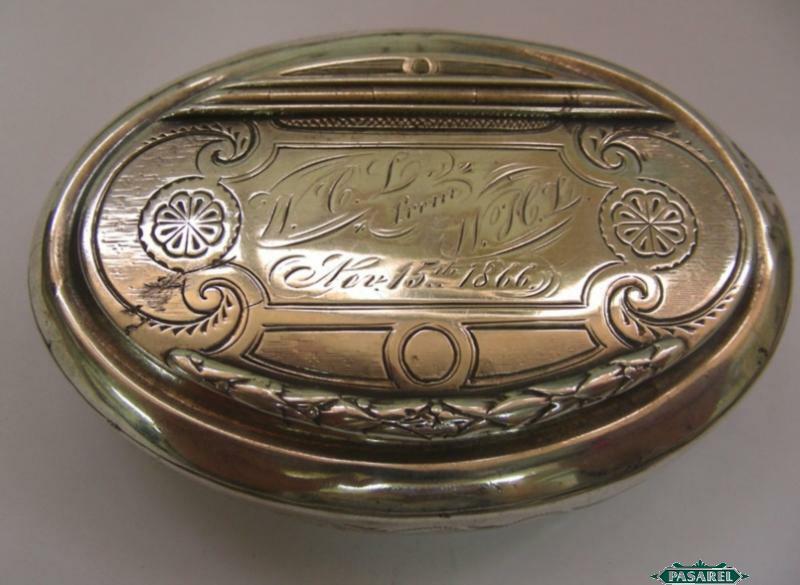 The oval box is engraved with floral ornaments and the hinged lid is engraved with a personal dedication dated “Nov, 15th, 1866″. 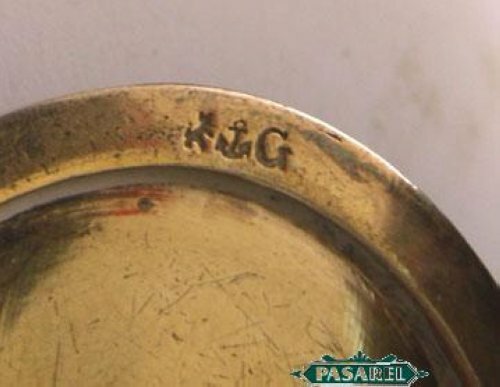 Marked with the maker’s mark for the renowned American company “Gorham”. 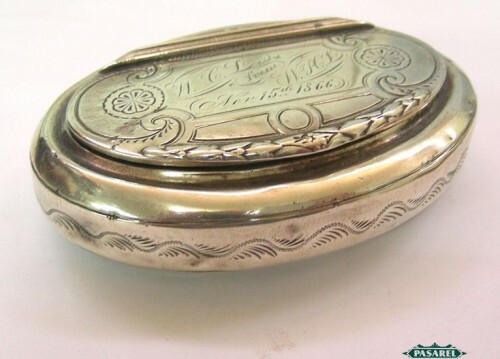 8cm X 6cm / 3.15in X 2.36in.